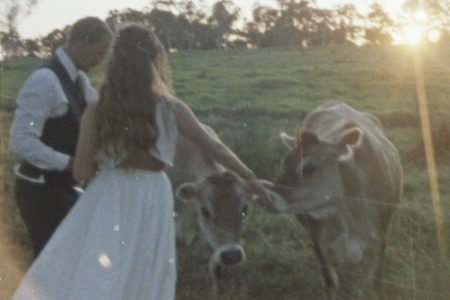 I’m so lucky to have been a part of Lauren & Geordie’s wedding as their videographer! Lauren & Geordie met at a bar in Subiaco, went on a few dates and that was it! They both value spending time with family and friends and also allowing time to do their own thing. Basket ball is the next important thing in their lives (not surprising since Geordie is the perfect height). They love travelling to new places together but they also enjoy a nice quiet night in with takeaway and Netflix. Geordie proposed to Lauren during a 6 week holiday to the US and Brazil in their accommodation in Buzias with just the 2 of them. 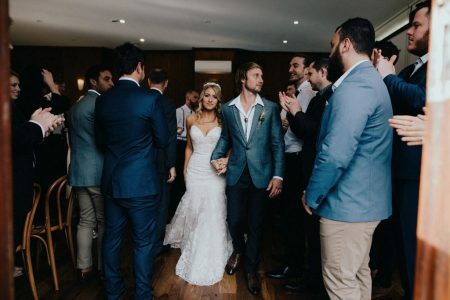 Gilgara retreat was the perfect venue for Lauren and Geordie’s wedding ceremony and reception. 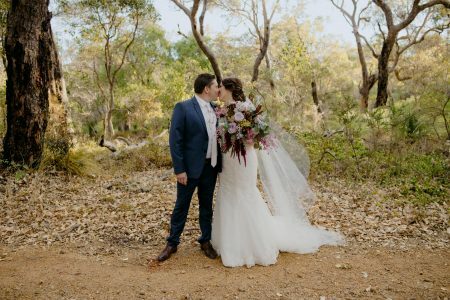 Gilgara retreat is simply beautiful, surrounded by nature with enough accommodation to allow their closest family and friends to stay with them to enjoy not just their wedding day but a fun weekend full of festivities. Lauren and Geordie wanted a relaxed and fun party (with some traditional touches as well) and they definitely mastered that!